It is that time of year again. Time to file your taxes. You may be saying I am on disability and do not need to file my taxes. Not so fast. You’ll want to read on for resources that can answer your questions about filing your taxes as a person with vision loss. Am I eligible for any deductions? What about equipment I need to purchase for work accommodations? A good place to start is with your local service or rehabilitation organizations. Some may have tax preparations services available. If not, they will probably have resources where you can go. For example, here in Chicago, Blind Service Association, 312-236-0808, usually has IRS-trained volunteer tax preparers to help people with vision loss file their taxes for free. Do not count on your assistive technology to read your W-2 form correctly. Organizing and reading receipts can be difficult. Not all tax software is accessible. There is no help if you are audited. All that aside, Intuit has made great strides in making their TurboTax software accessible. With some employers, it can even look up your W-2 form for you and auto-fill in the information on your tax form. And, if you are just filing a short form, they even have a free version: TurboTax Free Edition. 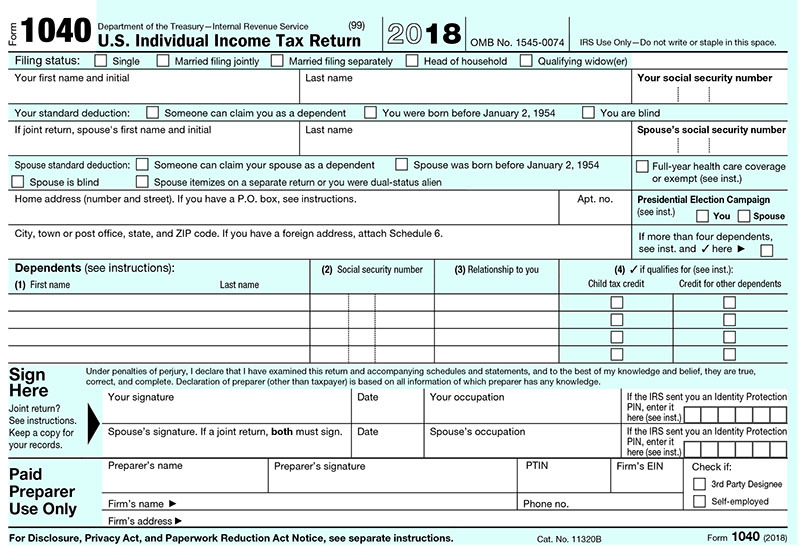 The IRS also has tax forms and instructions in accessible formats that are downloadable in braille, html and large print. One other note: IRS services may be affected by the recent government shutdown.